By now most who know me know the LinkMoses backstory. I retired LinkMoses 15 months ago. 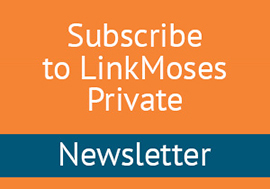 LinkMoses had a fabulous run, earned over 100,000 links, (smoke that linkbait) and the post LinkMoses Linking Commandments – Part I remains one of my site’s top five most visited pages. So why bring LinkMoses back for thirty posts? Three reasons. First, it’s easier for me to speak my mind when I’m in LinkMoses mode. A defense mechanism that allows me to say things I’m chickenshit to say as Eric Ward. LinkMoses=Buddy Love, Eric Ward=Sherman Klump. The awesome post “Is Most Of SEO Just A Boondoggle?“. Jill Whalen took heat for it, though she’s one of, if not the most under-appreciated and intelligent voice out there. If you aren’t reading High Rankings Advisor Search Marketing Newsletter, I have to ask you what the hell are you thinking? Stop reading this post immediately and go subscribe. I never wrote LinkMoses Linking Commandments – Part II. There was no reason to be greedy, and why be a Link Whore? It will be here Tuesday.